A charismatic author with a voice and message all her own, Kaya McLaren has become beloved in the book world as much for her upbeat energy as for her rich storytelling. 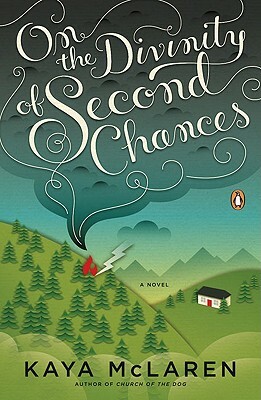 In On the Divinity of Second Chances, she portrays a family on the brink of dissolution-a mother besieged by middle age, a distant father lost in daily life, and their three teenage children struggling in various ways with the family's disintegration even as they conceal a secret that could send their parents further over the edge. With the help of a group of tap-dancing old ladies, a sensual tango teacher, and a lot of luck, this family is about to learn that everyone gets a second chance which, as McLaren beautifully reminds us in this inspiring novel, is sometimes even better than the first. Kaya McLaren teaches art and lives on the east slope of Snoqualmie Pass in Washington state with her dog, Big Cedar. Her second novel, On the Divinity of Second Chances, will be published by Penguin in winter 2009.